Pantygelli lies about 2 miles north of the market town of Abergavenny in Monmouthshire, which nestles in the valley of the River Usk, surrounded on three sides by hills forming the southern end of the Black Mountains. 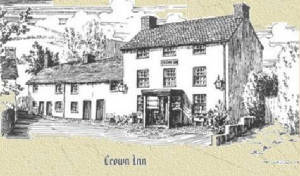 First built in the 15th century, the Crown at Pantygelli later became a stopover along the original road that ran from Abergavenny to Hereford. Over the years the building was substantially changed and the current frontage dates from the Georgian era. Today the pub is set on a quiet country lane, is easily accessible and it is reputed to have its own resident ghost.